This Commercial Off-the-Shelf (COTS) compact and light imaging sensor, Micro-Hyperspec, from Headwall has been gainfully employed, at an altitude of 512km in a sun-synchronous polar orbit, on Claire, a small low-Earth-orbit (LEO) satellite produced and launched by GHGSat (Montreal, PQ Canada). The sensor's mission is to collect high-resolution image data that targets greenhouse gas (GHG) and air quality gas (AQG) emissions at industrial sites around the globe, and so far it has just completed collecting its 500th measurement. Site owners can also monitor emissions themselves by accessing data from GHGSat, anywhere on the globe and in near real-time. The Micro-Hyperspec sensor is small and light enough so that it can be one of several instruments on a nano-satellite. 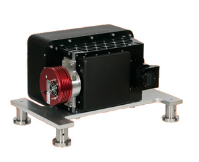 In addition to VNIR, Micro-Hyperspec is available in SWIR, NIR, and Extended VNIR versions. Headwall's hyperspectral technology is aboard Earth-orbiting satellites, delivering research data. The sensor design is focused on performance in harsh environments, and Headwall’s Micro-Hyperspec operates at the Visible-Near-Infrared (VNIR) range of 400-1000nm with very high spectral and spatial resolution. 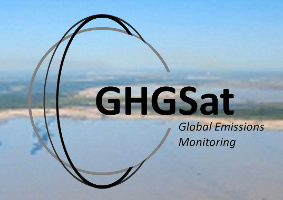 GHGSat’s mission is to become the global reference for remote sensing of greenhouse gas (GHG) and air quality gas (AQG) emissions using our satellite technology. We use the Micro-Hyperspec from Headwall to collect high-resolution image data in the VNIR range to support cloud and aerosol detection, explained GHGSat President, CEO Stephane Germain. GHGSat represents the latest commercial satellite payload for Headwall. Headwall CEO David Bannon commented that small, commercial satellites such as GHGSat represent an important remote sensing tool for researchers. He continued that breaking from the traditional high cost, high risk space development, Headwall’s performance and affordability are unmatched for these small-sat programs, and we’re very proud to be aboard GHGSat’s Claire satellite.